Gewurztraminer from Alsace is one of my favorite styles of wine. Maybe it's because this is the region of my father's side of the family. His mother was born in Alsace and eventually moved to Paris fleeing Europe before WW11. They brought their food and wine history to America. My dad always touted French wines and knew that Gewurztraminer was not for everyone, so, he added white and red Burgundies for entertaining. 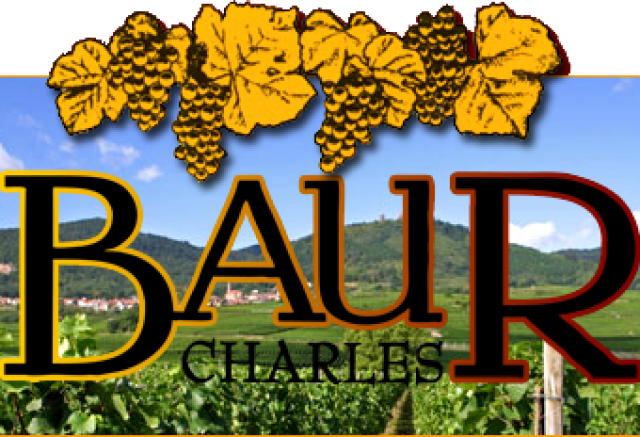 Let's focus on Charles Baur, whose winery is located in the heart of Alsace, miles from Colmar. The property has been in the family since the early 19th century. After purchasing neighboring property in 1930 to establish a working winery, it wasn’t until 1950 that Charles started bottling and marketing his wine. Success came quickly. He acquired several other estates and took his son, Armand, who obtained a degree in oenology (1980), into the business. Today, Armand’s son, Arnaud (names get tricky), joined the family business in 2009 after obtaining a degree in oenology and agricultural engineering, specializing in winemaking. The original estate has grown to forty-five acres, spread across several plots located on the classic slopes of Eguisheim and its vicinity, including Grand Cru Pfersiberg and Eichberg. All wines are made from estate fruit. The grapes are hand-picked and hand-sorted, then processed in a pneumatic press. Low yields and total focus through each stage of development have made their wines sought after. Like Burgundy, Eguisheim is made-up mostly of limestone and clay soil. The slopes are neither large nor small. Little rain and protection from the foothills of the Vosges has made Baur a safe vineyard that has become organic since 2014. Slopes that Baur grows their grapes on have been revered since the Middle Ages. My nose was in a frenzy until my first sip. Suddenly, my palate exploded and was wowed with a sweet fusion of juicy, runny, Georgia peaches, followed by a heavy dose of overripe mangos. All hell broke loose. My palate was succumbing to a higher power of grape ripeness, which means one thing to me-this Gewurztraminer could be used as an aperitif, as well. Wouldn’t it pair perfectly with blue cheese or foie gras, like an expensive Sauterne? With optimum ripeness and balanced body, this 2014 Gewurztraminer Gran Cru Pfersigberg would be an obvious choice if you are after this style of wine. This vintage is destined to become a classic.